If economic development were easy, every regime would do it. Few regimes have. Soeharto’s New Order was one of them. This is from today’s lecture on the New Order, always a fun one to plan, but a hard one to give because it’s hard to restrain my own enthusiasm for the details and ironies of Indonesian political history. 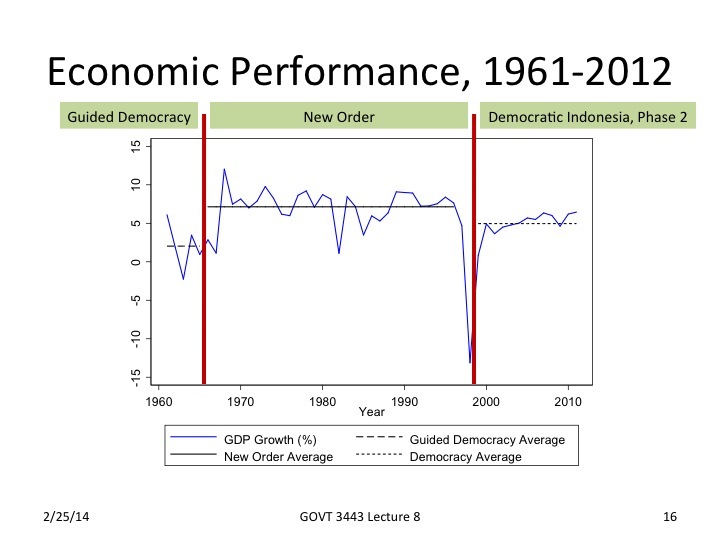 Very nicely provides a case where economic growth is more volatile under authoritarianism and less so under democracy.